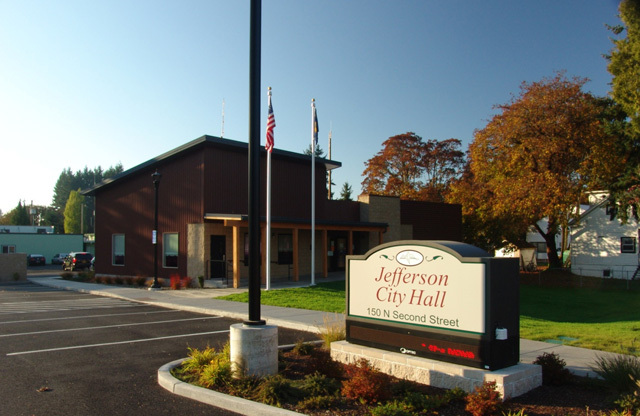 Project Description: Westech has served as the City Engineer for the City of Jefferson continuously since the early 1980s. During this time we have assisted the City with completion of public works design standards, utility mapping, and as-built archiving systems. We have also reviewed numerous development projects and assisted the City with long range planning and utility rate analyses. We also represent the City in discussions with other local, state, and federal agencies in matters related to day to day operation of the City. In addition to this non-project related work, Westech has completed numerous projects for the City including several street and utility improvement projects, a new wastewater treatment plant, a new water storage reservoir, a new public works shop building, and a new City Hall Building.